This person supports Caribbean cooperation. This user is a researcher of wikis and/or open educational resources. This user comes from, lives in, or just plain loves Dominica. This user comes from, lives in, or just plain loves Anguilla. Follow tweets from this user via @leRoyh. Hi I am LeRoy Hill. Welcome to my wiki user page. 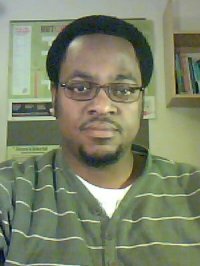 I have been teaching since 1995 and presently I am on study leave pursuing a PhD in Education at the University of Nottingham. My professional duties in the past included, Graduate certified teacher (Social Studies, Information Technology, Geography, and Caribbean Studies), Head of Humanities Department at the Albena Lake Hodge Comprehensive School (ALHCS) and President of the Anguilla Teachers' Union. I hold a BSc in Social Studies from Andrews University and a MA in Instructional Technology (Curriculum & Instruction) from Virginia Tech. I have been an avid user of various online tools for collaborative learning and knowledge sharing. In 2003 I created a local VLE for my school ([www.classnotes.ai]) which sparked my interest in participatory design. This effort grew to be a Caribbean wide tool for students to collaborate and learn with each other. In 2008, I created an online network for Caribbean educators (Caribbean Educators Network) and presently researching a participatory framework for sustainable e-learning in a social networking setting. I am very interested in this wiki community and really happy to have collaborated with Patricia Schlicht and Wayne Mackintosh to make this a possibility. Social Inclusion, Open Education, E-learning, Participatory Design, Action Research, Socio-cultural theory. I am really happy for these activities. Although I am busy with work, I find it rewarding to know that I can see quick results of my progress. Hi Leroy just browsing by, such great stuff, really nice work on your page! Hello and welcome to OVW/Home, a free online blended learning wiki skills workshop. Hello and welcome to eL4C35, a free online Learning4Content wiki skills workshop. This page was last modified on 21 July 2010, at 12:38.